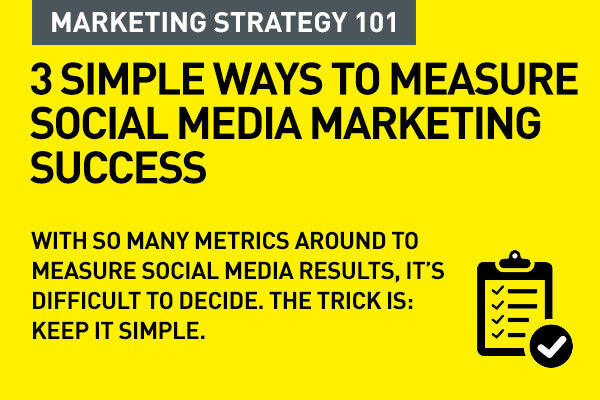 With so many tools and metrics around, here are three simple, overall ways to measure social media marketing success. Whatever your brand or your social media agency does, it's all out there for every one to see for themselves. You can have a fair idea of a brand's social strategy and how posts are performing. Comments, likes, and shares are all clearly visible – no one can really hide success or failure. The first simple way to measure social media success from a brand or agency perspective is evaluating team performance. Did the team do their work on time, within budget, and on message? Social media teams are required to produce a certain number of pieces of content per day. And manage the feedback. The team will obviously have broader strategic goals, but one one of their targets may be simply 'post at least once per day'. Achieving this is an simple 'output' metric. Did they post as planned? Did they time their posts properly? How many times did they respond to comments on time (within a certain time frame pre-agreed on)? You can set up the parameters you want to track. This is really easy and simple, yet often, I have seen teams failing to perform on this. They work across several brands or product verticals, and things slip by. So, this first easy check is important. At the end of the day, if the team is delivering on this, we need to then review how their outputs actually benefit the brand. The second simple way is to measure the direct results achieved by their posts. How many people watched the video? How many impressions did the post get? How many shares? How many comments? Meaning – just how much engagement did they get? Most social media platforms provide this data directly. Facebook has reported organic and paid reach for some time and Twitter now offers extensive analytics of tweet performance. Tweetreach offers powerful analytics for Twitter as well. It is important to look at these results of content in context. The Socialbakers tool will help provide this analytical data. It not only tells you the reach of your posts, but will also give you engagement metrics per number of fans. How well are the posts performing against one another, and how well are they performing vis-a-vis other brands in the category. Metric like these offer a glimpse at how much of an impression you are making with the brand on social media overall. Direct result metrics metrics in co-relation to industry and category context is even more valuable. Social media engagement metrics encapsulate a lot of other information about your posts which is useful for improving your content. How many people reacted to your post, without paid promotion for example, is a good guide to the overall quality, relevance, and 'shareability' of the team's outputs. What were your team's or agency's goals? What did they set out to achieve? What business outcomes did they hope to propagate? This is not measuring shares and comments. Hopefully those shares and comments have a positive effect on your brand, but measuring 'desired outcome' is much more than desired social action. Desired action or business outcome measurements would review: Are the leads from social activity more qualified? Did customer loyalty for the brand improve over time and across a campaign, for example? Did more people buy a product after seeing a post? 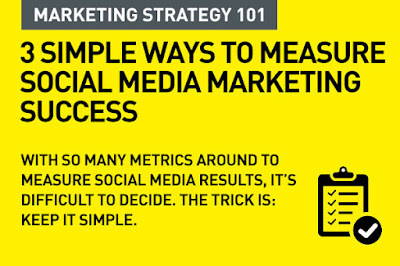 Social media teams need to address these metrics with sales and marketing teams ahead of time. There will be a need to review the brand's attribution modeling for this – where social media is taken into consideration when reviewing sales or brand positioning. Simple ways to try this out is to targeting campaigns to a specific region or a target demographic group and look for significant improvements in sales for them. But sales, marketing and social teams need to work together for this. Outcome metrics will let you know whether your posts are reaching the intended audience from a brand perspective and also review the quality of the work as well towards achieving business outcomes. Outcome metrics, which link social media to business objectives, are the most impressive figures for management, so it's very surprising that social media team's KPI's often don't address these at all. Nice...Its highly informative post. I really enjoyed reading. Yes today social media marketing is very powerful tools for business, website, brands, services for generating more leads and sales. I bookmark your blog and waiting for your next post. Thanks again for sharing such informative information with us.